Last views of Shasta, beautiful east and north views of Mt McLaughlin, views of Crater Lake, and in the great distance beyond many cone-shaped mountains, extinct Mt Thielsen. Long miles through relatively even terrain in the fir forest atop the Cascsdes. Then toward the last third, several climbs onto sheer volcanic rim slopes with outstanding views. Last two days our feet have been hurting -- that is, more than is usual. But today we girded our dusty loins for a big day, since we needed to get lots closer to Crater Lake. So it was a lonnnng day. We feel we are less strong than we were in the Sierras (Seano and I, that is; Dionysus may well be as strong as ever). We hear this from other thru-hikers -- especially the veterans of the PCT. We seem to be wearing thinner -- or leaner. We walk on feet becoming bony. We arrive at national park campgrounds not walking tall and mighty, strapping thru-hikers with muscles of iron. We shamble in like refugees or prisoners of war. Yes, our legs are strong -- but strong like jerky or like the scrawny wiry legs of free-range chickens. Poor eatin' on them legs. 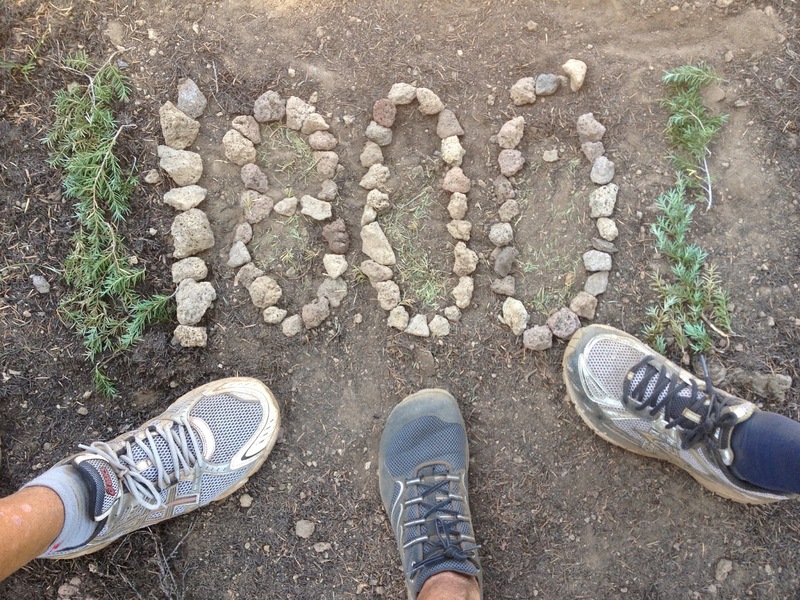 Passed 1800 mile mark! How these hundred-mile markers seem to speed by now. We hike into the dark, and set up tents while getting zinged and re-zinged by mosquitoes. Ugh. We all collapse into sleeping bags pretty worn out.